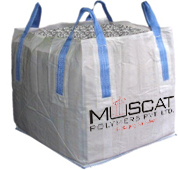 4 Loops FIBC Bulk Bags | Muscat Polymers Pvt. Ltd. 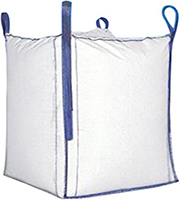 The three globally accepted types of FIBC’s, the most universal Bulk Bags’ type. 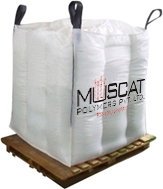 Highly improved stability once packed forming the square design (remaining within the pallet dimension), facilitating increased safety while stacking.